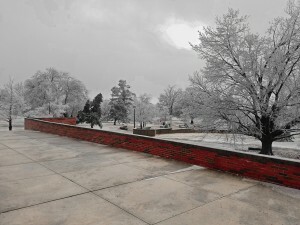 Oklahoma Baptist University recently shut down due to an ice storm’s effect on campus. Students celebrated at the opportunity to sleep in and miss classes. This would have been the perfect time to catch up on some work. That is exactly what I did! (Now, if you’re not one of my professors, continue reading.) Agee dorm exploded with excitement and merriment. Imagine 300 college students with nothing to do and too much energy to do nothing… Agee was the center of entertainment. I wish I could tell you about all of the antics that happened; however, that would ruin the joy of Agee. The snow day soon came to an end, however. Students seemed to cry at the thought of returning to class. The following Monday there was a transformation in the student body. I was walking to my Introduction to Sociology class that started at 2, when I ran into some friends at the Geiger Center. The place was full of people. My friends were sitting outside. 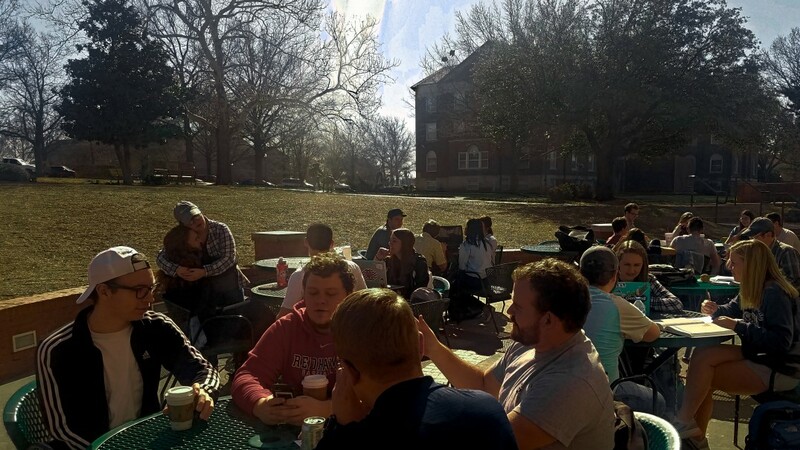 The sun beat down on the full tables of students. I did not have to stay long to feel the happiness and fellowship in the air. The day was a complete turnaround from the cold and gloomy weather that had preceded it. Oklahoma Baptist University facilitated a beautiful moment. The Geiger Center is the center of fellowship. If one attributed Agee as the place to have an exciting time, then the Geiger Center would be the place to meet people and lifelong friends. The Geiger Center is a wonderful place to eat, fellowship, and occasionally sleep. 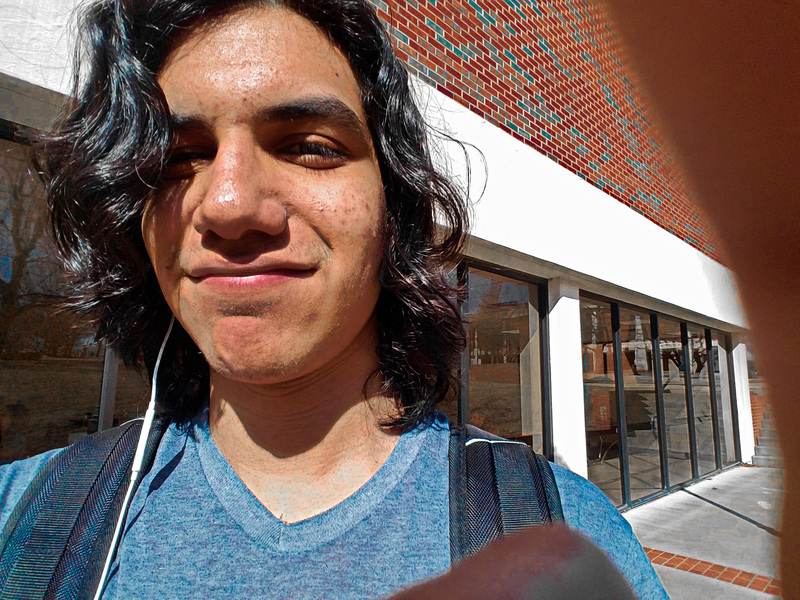 I would like to advise that you teach someone how to use your camera before you ask them to take a picture.